This ÉTS Research Chair is working on the development of a smart coating and an anticorrosive surface treatment, the development of a coating with electrical properties that allow it to dissipate electrical charges, and rethinking surface-preparation processes using future technologies that are more virtuous, flexible and economical.  At ÉTS, this Canada Research Chair is working on developing new modelling and simulation methodologies pertaining to aircraft and helicopter flight dynamics and control, as well as active command and adaptive technologies that will reduce fuel consumption. At ÉTS, this Canada Research Chair is working on the design and development of new coatings, biomaterials, and implants to improve treatment of pathologies, particularly cardiovascular pathologies. The team has a particular interest in endovascular treatments that are less invasive than conventional surgery. At ÉTS, this Canada Research Chair is working on a better understanding of how vertebral fractures and spinal cord injuries occur in accidents to help reduce their incidence and severity, and find therapeutic approaches that can prevent further injuries. New developments will also result in more efficient active and passive protection devices. At ÉTS, this Canada Research Chair is working on the development of a new class of affordable hybrid nano-engineered optoelectronic materials that can be integrated in simple devices. The research focuses on light sources and solar cells to develop new optoelectronic materials and light-emitting diodes (LEDs). At ÉTS, this Canada Research Chair is working on designing robots and developing methods to assess and increase their absolute accuracy. Research is largely focused on the aerospace industry and the medical community, where robot accuracy is a critical issue. At ÉTS, this Canada Research Chair is working on the development of machine-learning and artificial-intelligence systems based on a sustainable smart eco-cloud platform, sensors, data collectors, and analytical tools designed to gather information on ecosystems and on all stakeholders. At ÉTS, this Canada Research Chair is working on innovations related to low-dose biplane X-ray techniques, automated digital medical image processing, 3D geometric and biomechanical modelling of biostructures, and computer-assisted evaluation of medical, orthopaedic, surgical and rehabilitation treatments. At ÉTS, this Canada Research Chair is working to improve the energy efficiency of static converters, the energy quality in electrical distribution networks, and the development of electric power supply sources for telecommunication systems and electric traction systems for passenger transport. This ÉTS Research Chair is working on the study of the current technological state and upgrade potential of long-distance communication equipment installed in the last twenty years in a number of countries, so they can support modern telecommunications and also be used to carry data. This ÉTS Research Chair is working on a better understanding of fundamental problems related to rehabilitation and infrastructure strengthening to develop innovative materials and structural components in order to obtain high-performing, economical materials structures. This ÉTS Research Chair is working on facilitating the work of operators by giving them access to a decision support system based on artificial intelligence so that they can monitor a large number of surveillance cameras simultaneously (100,000 and more) while decreasing the number of false alarms. This ÉTS Research Chair is working on the development of diagnostic tools to improve the processing of millions of images generated by magnetic resonance imaging, CT scan, ultrasound and X-ray equipment to better recognize or confirm abnormalities, allowing patients to receive prompt and accurate treatments. This ÉTS Research Chair is working on the development of new thermoplastic-based polymer and nanocomposite blends to make them lighter, more resistant, biocompatible, more environmentally friendly, capable of dissipating thermal energy and conducting electricity, and hydrophilic or hydrophobic, as required. This ÉTS Research Chair is working on the development of predictive, preventive and corrective decision-support tools to ensure the stability of electric networks. Contingency analyses through simulations will serve to classify networks, and implement measures and corrective actions to maintain stability. This ÉTS Research Chair is working on a better understanding of the relationship between design, process, microstructure and properties of components produced by additive manufacturing technologies, to take advantage of the design freedom and transformation potential they provide in the medical and aerospace fields. This ÉTS Research Chair is working on the development of new sensor technology and algorithms to enhance interactive robot autonomy and their ability to perceive human environments more effectively, so that they can develop in complex and unstructured environments and safely share work spaces with humans. This ÉTS Research Chair is working on strengthening the physical layer security of wireless networks to increase the security of data transmission and make it less vulnerable to cyber attacks. Research efforts will complement current cryptographic techniques that protect information during data reception. This ÉTS Research Chair is working on a better understanding of terahertz electromagnetic wave generation and detection. Using the cutting-edge equipment acquired for this Chair, researchers will be able to develop new standardized methods for materials analysis and new tools to simplify solutions at reduced cost. This ÉTS Research Chair is studying the influence of high-resistance alloy shaping parameters on microstructure evolution and in-use properties using a micro-macro and multi-scale approach. A better understanding of the interactions between materials–processes–properties will help the industry become more competitive. This ÉTS Research Chair is working on the development of better prosthetics and the enhancement of quality of life for people requiring orthopedic care. The Chair works in the following fields: 3D imaging, computer-assisted surgery, osteoarthritic biomechanics, prosthetic loosening, and clinical trials of joint and ligament prostheses. This ÉTS Research Chair is working on the development of innovative material platforms for in-ear hardware using audio signal processing and biosignal extraction algorithms. The technology will provide hearing protection, hearing aids, two-way communication and brain-computer interfaces. The objective of the NSERC Ultra Electronics Chair on Wireless Emmergency and Tactical Communications is to create new wireless communication technologies for security and emergency response forces. This ÉTS Research Chair is working on updating practices in the Quebec construction industry through research and the implementation of new practices based on emerging technology platforms. The main objective is to provide resources, tools and know-how so that the construction industry remains competitive. Centech is the ÉTS business incubator and innovation hub. This series includes articles describing the experience of start-up companies whose research and development activities are often linked to ÉTS researchers and laboratories. This section includes a series of articles describing tools, strategies and resources that will help you find good ideas and transform these ideas into innovations, especially when you have a limited amount of time available. Creating and innovating can be successful ... with the right strategies. It is a long-cherished dream to be able to travel in a flying car. Due to technological progress, what seemed utopian a few years ago could now become a reality. This series of articles presents the evolution of the flying car from yesterday to today. The ÉTS graduate education level includes three compulsory internships of a minimum duration of 16 weeks. In this series, we offer student testimonials that describe internships both in Quebec and abroad. Highly acclaimed speakers are invited by ÉTS on a regular basis. Substance is featuring excerpts from some presentations that were ranked among the best. This section includes a series of articles on the planet Mars. Why? Because space exploration of Mars is only just beginning. It will probably become the first planet that humans are likely to inhabit and colonize by 2030, according to NASA's plans. To get there, much research still needs to be done. Montreal is one of the major hubs for artificial intelligence. This series brings together new breakthroughs in a rapidly expanding field. The École de technologie supérieure is launching a new institutional strategy to make ÉTS the preferred school for women in engineering, and increase their number among its ranks. The vision of the ÉTS Effect is to reach 30 per cent of women studying at ÉTS by 2030 at the bachelor's and graduate levels, the same percentage as Engineers Canada. The increase of women professors and executives is also an anchor in this initiative aimed at providing female students inspiring role models. Since the advent of Google, we are buried under a ton of information. How can you increase your information search skills and evaluate the different sources available? This series attempts to equip researchers and students to help them identify reliable sources of information.